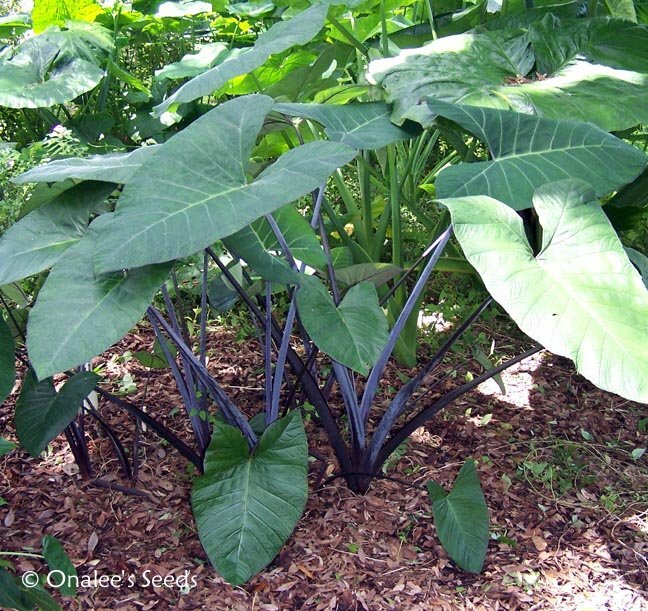 This is one of my favorite elephant ears because it doesn't need the full sun in order to get the dark color on the stems - it's perfectly happy in the shade and still gets the velvet black stems and dark blue-green leaves. Definitely likes moisture and the more moisture it gets the larger it will get (up to about 5' tall), but will also grow in average soil. A very richly colored plant - a great backdrop to your other shade and water loving plants or a stand out all on it's own. These also make great containers plants! 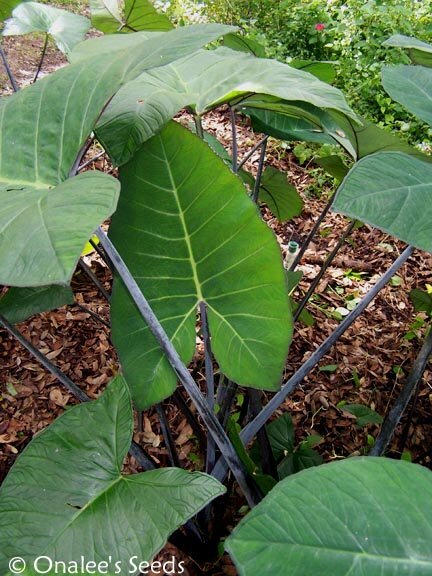 Elephant ears LOVE WATER - use them around the edge of your pond to really add drama or plant them with white Impatiens for a formal look! I have mine planted in the shade in average soil and they are doing great with regular, but average, watering. I believe if they are in the sun, they would probably need more moisture, however. These plants are reported hardy in zones 9 and warmer bulbs may be lifted in the winter in colder zones and over wintered indoors or grow year round in containers. 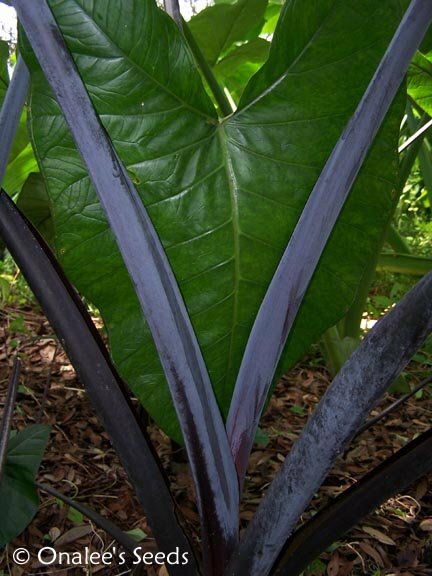 You are buying 1 Purple Stemmed Elephant Ear Plant growing in a gallon pot (it will be shipped bare root). These are NOT tissue cultures, but offshoots of larger plants which have been growing on their own for some time in the 'real world'! 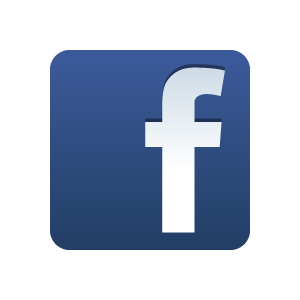 The plant is currently from 12 - 18 high and about 1/2 - 3/4 across the base of the plant. MOST OR ALL OF THE LEAVES & STEMS WILL BE CUT BACK BEFORE SHIPPING. I have found that this is the LEAST STRESSFUL way to ship these plants. They will recover quickly and begin growing new leaves within a week to 10 days after they are established in their new home.